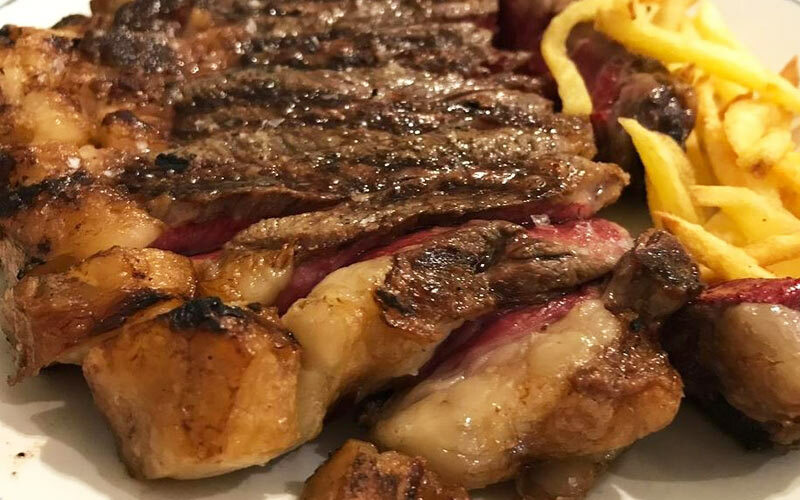 Enjoying a steak in the Basque Country (Euskadi) is more than a tasty tradition, the region is a land of rotisseries and also famous for its top quality meat. The standard is the “chuleton de buey,” a very thick cut bone-in rib steak. In winter as well as in summer, this delicacy is a must-try while in Euskadi. The chuletones are cooked in the grill and are perfectly combined with some appetizers and a good wine, making it a great gastronomic experience. Txakoli Simón is one of the best chuletón rotisseries in Vizcaya. It is located in the Artxanda mountain and is totally well worth a visit. Not only is the food delicious but the restaurant overlooks Bilbao, offering you spectacular views. The restaurant is actually an 18th century caserio and has two dining rooms and a picnic area, perfect to sit during summer. The star specialty is, of course, chuletón . It is served sealed and filleted into a brasero, a special heater in order for the customer to give it the desired finishing. Their chuletón is of an excellent quality, juicy, without fat and clean. It’s one of the most famous restaurants, if not the most famous, both for locals and tourists. A top choice for tasting a unique flavored steak while in Vizcaya. 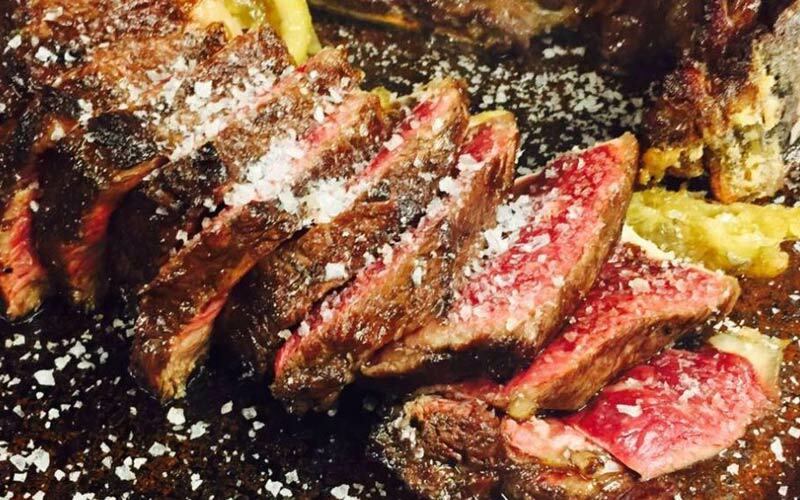 A restaurant of supreme quality and with a great taste, these are only some of the customers’ comments for Casa Jauregi Asador, located in Portugalete. Its menu isn’t so long but it is more than enough, considering that they prepare everything with great care. If you choose to eat chuletón , you can order it by kilograms, depending on the number of people they are going to eat. The restaurant is also famous for its seafood and homemade desserts. Did you know that Tolosa, Gipúzkoa, is considered the hometown of chuleton? The very founder of the rotisserie Casa Julián replaced the beef steak with a unique one produced of ox meat, you have to order it like buey in Spanish. That was an innovation as oxen would only work in the fields back then. 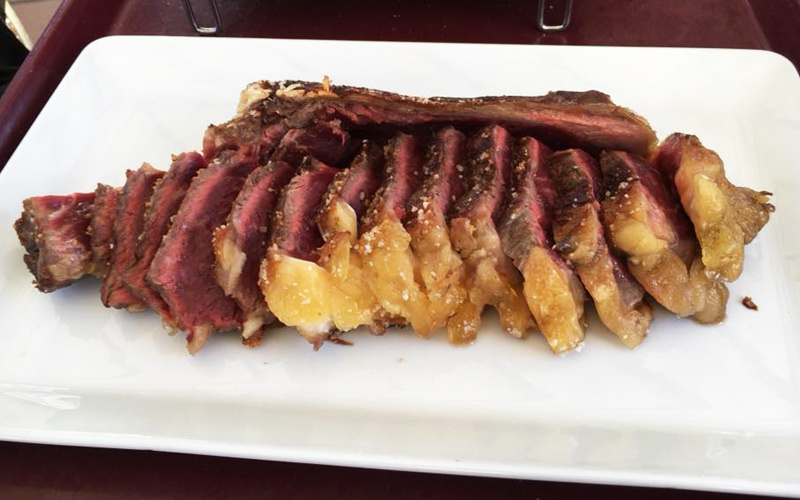 Thus it shouldn’t surprise us that in Tolosa they celebrate the Fiesta de la Chuleta, a steak festival, every year because of the great number of steak restaurants in the area. Casa Julián is one of the most famous. The restaurant is considered the “Sixtine Chapel” of the steak by some food experts. They know how to cook a steak with an unforgettable flavor. It is always served with some delicious Lodosa peppers. The place first opened in 50s and the experience of the owners gives the food a special character and unique. If you want to try a unique chuleton de buey you have to order it. 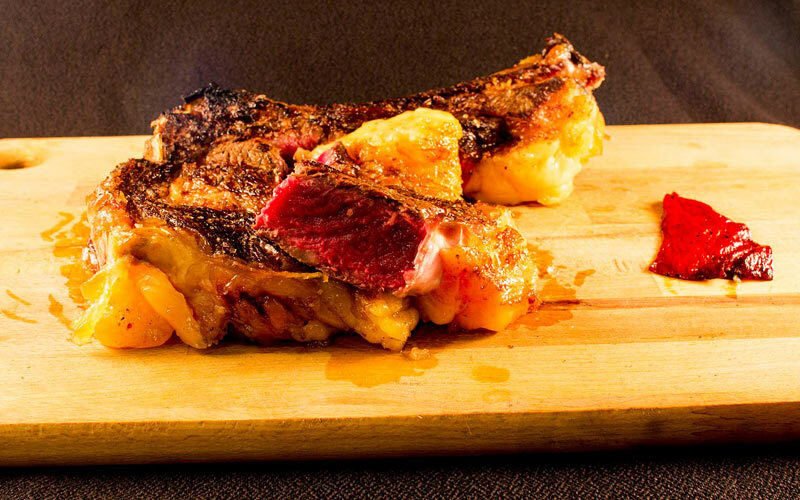 Let’s move towards the heart of medieval Vitoria-Gasteiz in order to taste Asador Matxete’s chuletón, located in the square that gives its name to the restaurant. They have a long menu with seafood and grilled meats where chuletón is the king. Their steak is product of good quality meat, with an intense flavor and carefully cooked. It is the perfect choice if you are in the area and love grilled meats. Alava is the perfect place to visit some of the best rotisseries to try the famous chuletón and leave with a full stomach.